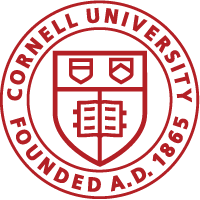 Cornell University is committed to providing a safe, inclusive, and respectful learning, living, and working environment for its students, faculty, and staff. To this end, through Cornell University Policy 6.4, the university provides means to address bias, discrimination, harassment, and sexual and related misconduct. The university has designated different types of prohibited conduct as well as procedures that correspond best with the university’s different constituencies. The applicable procedures for students, staff and faculty are available in the Procedures tab on this website and by clicking this link.